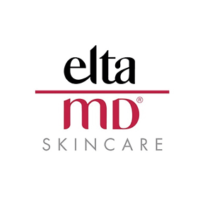 Available only through a dispensing physician, EltaMD sun care and skin care products are formulated for every skin type, lifestyle, and special need. This company creates innovative products that help develop, protect, and maintain healthy skin. The broad-spectrum sunscreens contain zinc oxide to protect skin against UVA and UVB rays, preventing aging and skin cancer. Cosmetically elegant and photostable, the sunscreens are also fragrance-free, sensitivity-free, paraben-free, and noncomedogenic. The skin care products include deep, yet gentle, cleansers and innovative moisturizers for normal, sensitive, and troubled skin. The formulas help correct problems and maintain skin health over time. The post-procedure products promote skin healing and comfort after skin rejuvenation treatments that help reverse the appearance of aging and sun damage. Baby foot is simple to use, effective, and effortless. After 5-7 days, the dead skin cells will start to peel off and the skin on your feet will be as fresh as a baby’s foot. Try our at-home kit done in 1 hour on your time. Jane Iredale mineral makeup is known as “The” Skin Care Makeup. Safe and beneficial for the skin, Jane Iredale makeup is recommended by plastic surgeons and dermatologists all over the world. Recognized by the Skin Care Cancer Foundation, Jane Iredale make up is non-comedogenic (will not clog the pores), paraben-free and water resistant. Hey, Staunton! We're your boutique medi spa, laser and skin care specialists with quality, professional treatments and products by an experienced team of experts right here in the Shenandoah Valley of Virginia. Our state-of-the art equipment and techniques will amaze you. We offer customized skin and body care services for both men and women, all with unmatched support and professionalism. Whether you're looking to reduce with today's latest technology in body shaping, rejuvenate your skin to erase fine lines and wrinkles, hydrate and enliven tired skin, or stop in for safe, high-quality spray tanning, we are your full-service, nurse-supervised team of skilled providers to give you and your skin all of the very best! We accept: Cash, Check, Visa, MasterCard, American Express, Discover and Care Credit. Body Essence Skin and Laser offers a wide-range of medical esthetic products and services in a relaxing and supportive spa atmosphere. Staff hours may vary within business hours.